Janet Jordan, CAE, began her career in association management in 1989 and earned her CAE (Certified Association Executive) in 2004. She opened her own association management company in 1996 and provides full service management from a home based office in South Carolina to two state associations and administrative support to three non-profit organizations. 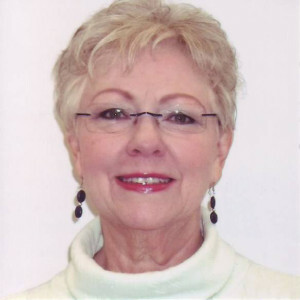 Janet first became affiliated with chiropractic organizations when she served for seven years as Executive Director of the South Carolina Chiropractic Association. She served twelve years as Executive Director of the Congress of Chiropractic State Associations and currently provides administrative support for the Council on Chiropractic Guidelines and Practice Parameters and the Hawaii State Chiropractic Association. Janet is a member of the American Society of Association Executives and the South Carolina Society of Association Executives. She attends Providence Presbyterian Church where she serves as an elder and on the Stewardship Committee. She also serves as Secretary of the Newberry College Lettermen’s Club and the Thomas Frazier & Mary Ann Hancock Brown Family Reunion. Janet and her husband Steve live in Lexington, SC, with a Cavalier King Charles Spaniel and two gray tabby cats. They are members of the Lake Murray Boating and Sports Club, participate annually in a Habitat for Humanity project with their church, and enjoy vacationing in Lake Lure, NC, and St. Thomas. VI.